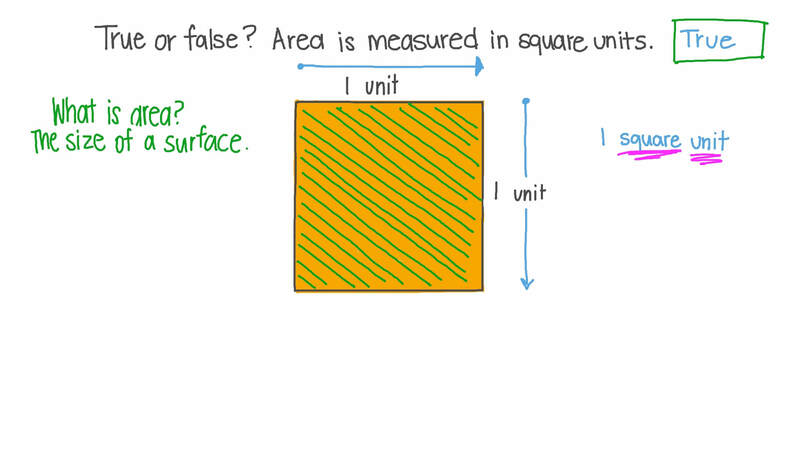 In this lesson, we will learn how to find the area by counting the number of square units in a shape. Fill in the blanks in the following: The area of the given figure = □ . True or false? Area is measured in square units. 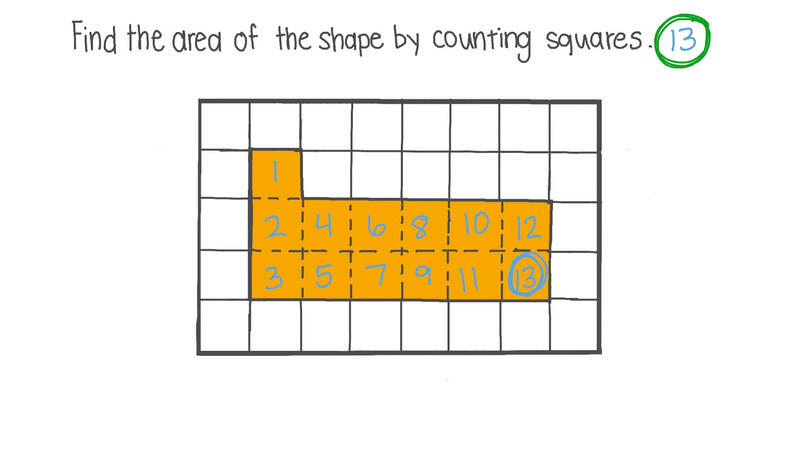 Find the area of the shape by counting squares. Adam made this shape with square units. Select the shape which has an area of 17 square units. Find the area of the triangle giving the answer to the nearest square unit. To find the area of a shape, count up all the squares. In the blue rectangle, there are 8 squares. The area of the blue rectangle is 8 square units. 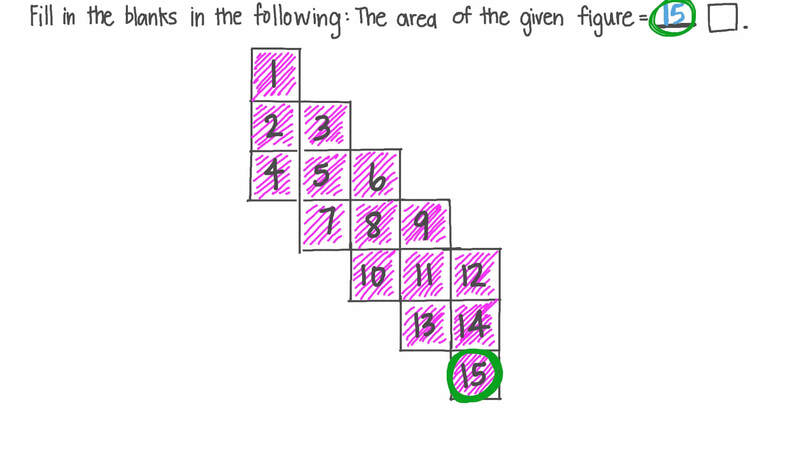 Find the area of the green rectangle. Remember to count the squares! Soheir, the gardener, charges customers by how many individual square pieces of grass she lays when she creates a new backyard design. Order these yards from least to most expensive.